"Linking Cayman Captive Growth to Medical Malpractice Trends"
"How to Implement an Enterprise Risk Management Project"
"Qualitative Concerns in Captive Domicile Selection"
Marn Rivelle, FCA, ACAS, MAAA. Marn brings to you more than 20 years of property/casualty actuarial and risk management consulting experience. Prior to forming RCS, Marn served as the Senior Manager of KPMG's Actuarial Services in Los Angeles and Director of Actuarial Services in KPMG's Cayman Islands Office. 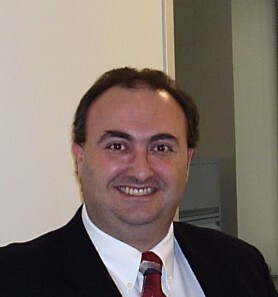 He has extensive experience in estimating claims liabilities and projecting future funding. Because of his experience with KPMG (a "Big 4" accounting firm), Marn understands the issues and nuances associated with financial reporting. This unique perspective may help you breeze through the regulatory compliance process. Marn is a frequent speaker at industry conferences including the Cayman Captive Forum, National Council for Self-Insurers, California Association of Joint Powers Authority and Liberty Mutual's Energy Symposium. Marn has been published in the Cayman Captive Magazine, Captive & ART Review, KPMG's Self-Insurance Insights and KPMG's Property/Casualty Insights. Marn has served on committees with the Casualty Actuarial Society and Conference of Consulting Actuaries. Marn is a Fellow of the Conference of Consulting Actuaries, a Member of the American Academy of Actuaries and an Associate of the Casualty Actuarial Society. Copyright 2014 RIVELLE CONSULTING SERVICES. All rights reserved.